← WHAT DO SENIORS AND KIDS HAVE IN COMMON? Recognizing and accepting the transition. Seniors should accept the fact that inevitably people get old, and now it is their time. They were ones youthful, but now acceptance is the keep, evident in doing activities that maybe exclusively meant for the ageing population. It is the headstone to enjoying life despite age impediment. Doing hopeful regimen for rejuvenation. As part of acceptance, do activities like balanced diet and regular exercise. Eat fruits and vegetables and take morning walk for rejuvenation of wearied cells and muscles. This is good to build up resistance from any chronic diseases. There is really a strong link for balanced diet, regular exercise and better health. Hence, light exercise may do for stamina purposes, particularly for them to be more quick and energized to get through the day. Balancing emotional stress. Seniors are more prone to emotional vulnerability. They feel left in an island, but through constant communication with neighbours or even grandchildren and random strangers, surely they will not feel exhausted, depressed and isolated. Maintaining social life is important to reinvigorate their emotional wellness that affects overall health. Embracing and reconnecting with nature. Home is seniors’ constant refuge to everything because this has been their comfort zone for years. But to further unwind and handle uncontrolled behavior, it is better to meet new environment, do recreational activities, stroll around freedom parks or plant flowers in your garden. Reconnection with nature is a good tip to emotionally and physically improve senior’s health condition that may be deteriorating now. The dynamics of aging is really difficult but careful management can be surely handled by seniors. A mere mastery coupled with support from loved ones is already good. 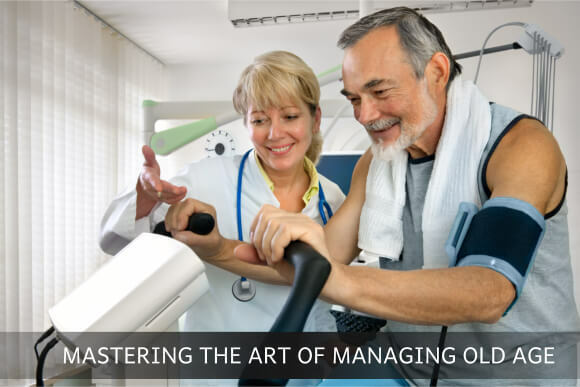 To further help in solving or managing aging problems, trust OptimumCare Home Care Services. Our non-medical home care in Opitz Boulevard Woodbridge VA offers services like Visiting Private Duty Nursing, Geriatric Assessment and Evaluation, etc. to make sure seniors get the best of comfort within their home or in our home care facility. We fulfill our task of helping our clients gain back their optimum health, independence and mobility. Our non-medical home care in Opitz Boulevard Woodbridge VA guarantees 100% compassionate care to provide safety and security to our client’s health. Rest assured our services well fit to our clients. You may preferably visit our non-medical home care in Opitz Boulevard Woodbridge VA, or check us online for more details. Did you find this blog interesting? We appreciate your concerns below.